Studies have shown that when doulas attend birth, labors are shorter with fewer complications, babies are healthier and they breastfeed more easily. 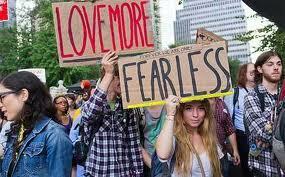 Self-help guru’s would say “to love more, to fear less”. Or to “stay in the present” (as fears are often projections of terrible things that could happen in the future). Or to “arm yourself with information”. All of those are right – they all do help to alleviate fear. I would say the antidote to fear when it comes to pregnancy, birth and the first few weeks of parenthood is simple; hire a doula. Not just any doula mind – the doula that is right for you. A doula is a bastion of knowledge, wisdom, encouragement, a great listener and comforter, offering suggestions but never advice, always without judgement. A doula never promotes a product or service unless she truly believes that it is right for the parent. She never uses fear to “sell” her own services. She tries to work through a mother’s own fears surrounding the birth. And when fears start to rise, she’ll try to alleviate those fears through practical and emotional support, sage words and encouragement. And sure enough, with the right doula, those fears magically disappear. And yes, then you really can start to love more and fear less. If only doulas were available every time you have any kind of fear throughout your life. Wouldn’t it be great if you could hire a doula to take with you to see a scary movie? To hold your hand on a roller-coaster ride? Or when you go for a job interview? Or when you have to speak in public? Or when you launch a new business? That would make life much less scary. But then again, having fears and conquering those fears is all part of the complex amazing journey of life. Don’t you think? So be afraid. Be very afraid. Then go hire a doula!